Former Webb Elementary student and current environmental policy major at the University of Delaware returned to Webb to help the current generation of students with a research project. Afterward, they surrounded him to get an autograph! 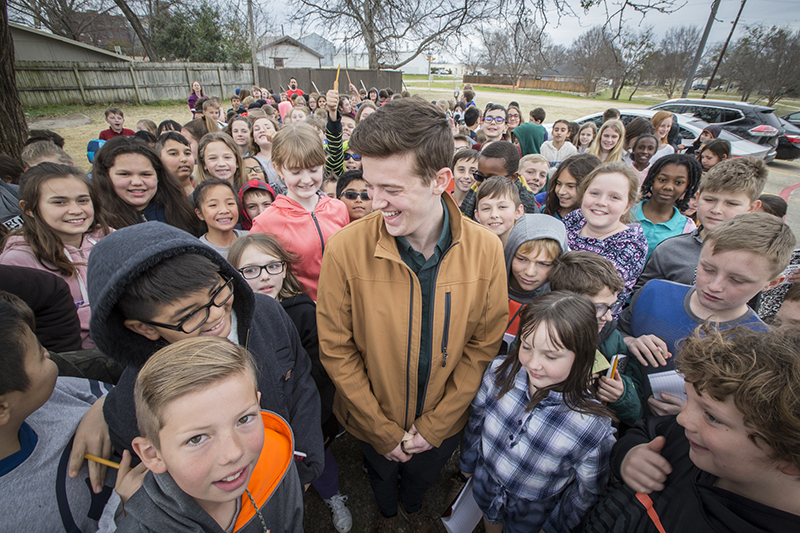 McKinney, Texas – It was a sort of homecoming for former Webb Elementary student and current University of Delaware environmental policy major, Jake Sikora, who returned to his academic roots during his semester break in January to help the current generation of Webb gifted and talented kids with an environmental research project. As he set up for his presentation in the Webb library before the students arrived, Sikora said he felt a little intimidated by the prospect of speaking to 70-plus elementary students. But, once they filed in and arranged themselves into tidy rows on the carpet, Sikora handled things like a pro. 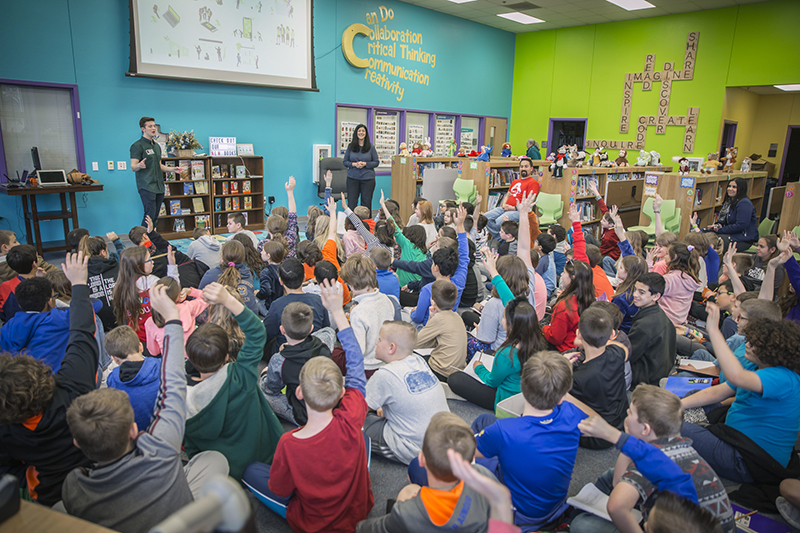 Jake Sikora answers questions during a presentation at Webb Elementary on environmental challenges. The kids took copious notes as he discussed a broad range of today’s environmental challenges, and when he opened the floor for questions, hands shot up all over the room. The presentation had just reached its conclusion when a fire alarm* sent everybody outside. The kids made the most of it though, surrounding Sikora and peppering him with requests for an autograph—which he graciously provided with good humor and a bemused smile. *Everything was fine—and the students and teachers executed the fire alarm procedure perfectly.